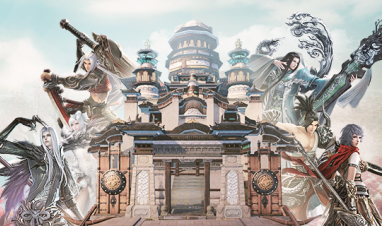 Reinforcements are coming to Revelation Online next month in the form of Famous Generals, Revelation Online’s second content update of 2019. It’s a release that will usher in major Battle League changes, while introducing the brand new Generals Season mode. First let’s look at Battle League, which in its current guise has caused some frustration as the League’s weekly limit has meant that players have had to repeatedly and unnecessarily engage in battlefields to maintain their league levels. To combat this, rather than League Value, War Medals will soon be used to increase Battle League level. Crucially there’ll be no limit on how many War Medals you can collect, no restrictions on when you can take part in Battle League and no level or Might limitation. Consequently, the weekly War Medal rankings will no longer provide League Value. 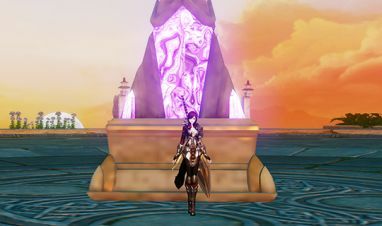 In addition, the rankings will exclude players of Dragoon League Level and below, which should make things easier on lower level PvP players, such as those of level 60-69. One other point of convenience is that you’ll no longer have to make the journey to Noram Theren to accept and turn in Battle League advancement quests, as they’ll be assigned and completed automatically. This does mean however that they can no longer be abandoned. We’ll be probing Generals in more detail in a future article, but essentially it’s an epic competitive season, in which players of Dragoon level and above fight to attain the rank of Ultimate General. There will be six tiers of competition, within each players must secure three stars to ascend to the next. Tier 1 Ultimate Generals can earn themselves unlimited stars, until the competition is reset at the end of the season. To upgrade their General level, players will spend Acclaim points, which will be given out to the top 200 players in the weekly War Medal rankings. Unranked players who manage to earn 2,000, 5,000 or 8,000 War Medals each week can also expect an Acclaim boost. The release date of Famous Generals is still to be decided, but with February just around the corner, you shouldn’t have long to wait. In the meantime, expect to receive more intel on Famous Generals very soon!